Crispy Green – Keeping it Real in the New Year! Fairfield, N.J. – January 24, 2019 – The world is constantly changing; therefore, all brands evolve over time to meet the needs of today’s ever-changing customer demands. However, the best brands can enjoy healthy success by keeping one thing consistent–product quality. 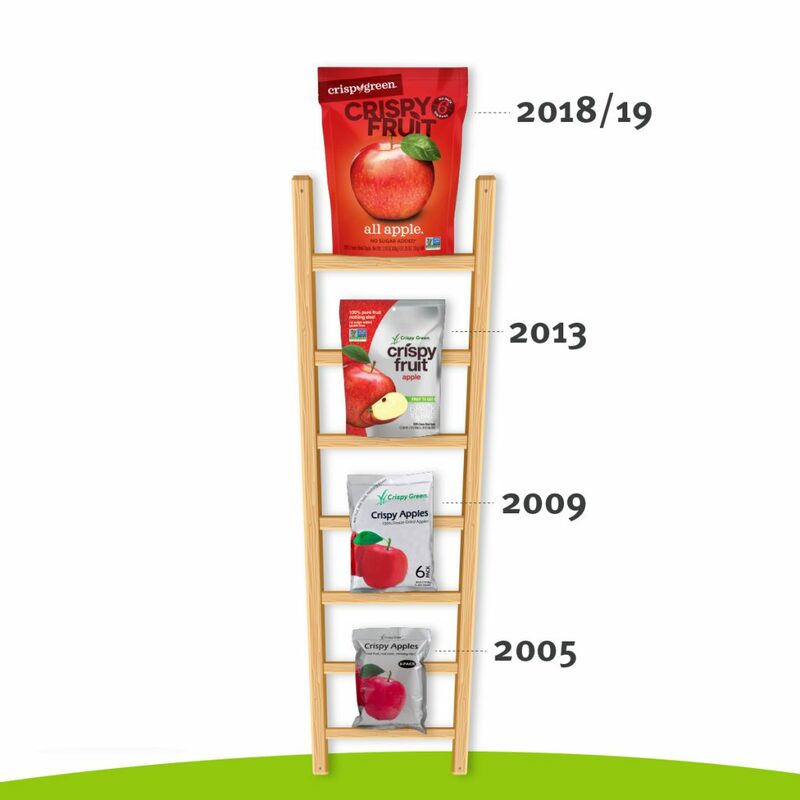 That’s why, after 15 years of providing quality freeze-dried fruit snacks, Crispy Green continues leading the category as the #1 freeze-dried fruit snack brand at retail in the U.S.* While we may have changed our look to stay current with the times, our product has remained the same –single ingredient, 100% real fruit snacks. The category of good-for-you snacks is growing rapidly in the recent years. We needed to stand out in the crowd with stronger packages that reflect our product quality and our values. “I couldn’t be prouder to see the evolution of our packaging in the past 15 years which marks the journey as we grow,” added Liu. As we are starting the New Year, Crispy Green is bringing a bright new “outlook” into the future. The Crispy Green brand uses food as a force for good to advance a healthy, active lifestyle for all. The company is based on three pillars which has enabled the company to stand apart from the rest. Quality you can taste and nutritional value you can trust. Snacks like a chip – only better! Convenience to add healthy fuel to your active lifestyle. The perfect grab-n-go nutrition that goes wherever you go! The customer is the central focus of all initiatives. Crispy Green likes to keep things moving forward, but will NEVER compromise our base promise–to provide the highest quality, natural food products, while inspiring others to live a healthy, adventurous and fulfilling life. To celebrate 15 years of success, we wanted to offer something fun for our fans. As a result, we developed a personality quiz called “What’s Your Flavor”? The idea for the quiz was inspired by the beautiful new, brightly colored packaging Crispy Green recently launched. This new design theme has been wildly received by both consumers and retailers. The company has been receiving significant praise and positive feedback on the design…with everyone seeming to have their favorite bag design. The quiz idea naturally developed as a way to fuel the excitement. 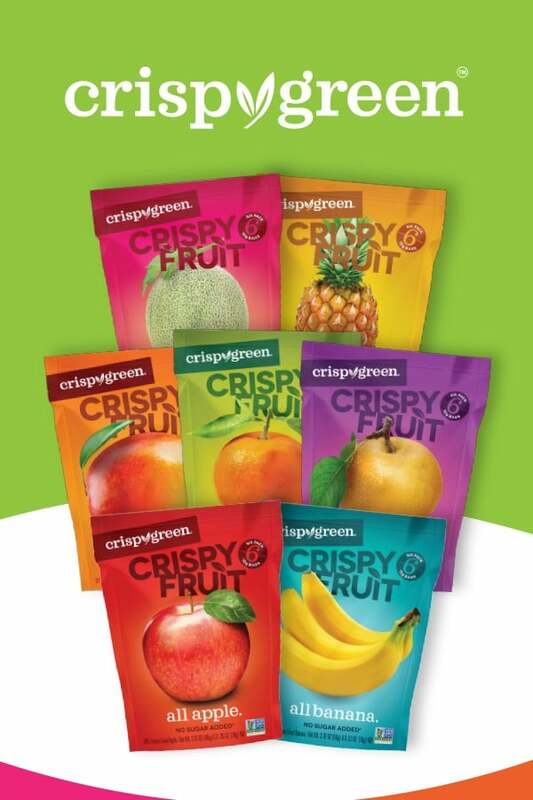 Founded in 2004 and headquartered in Fairfield, NJ, Crispy Green, Inc. is the number one freeze-dried fruit snack at retail in the U.S., according to the latest Nielsen research, ending 6/31/18. 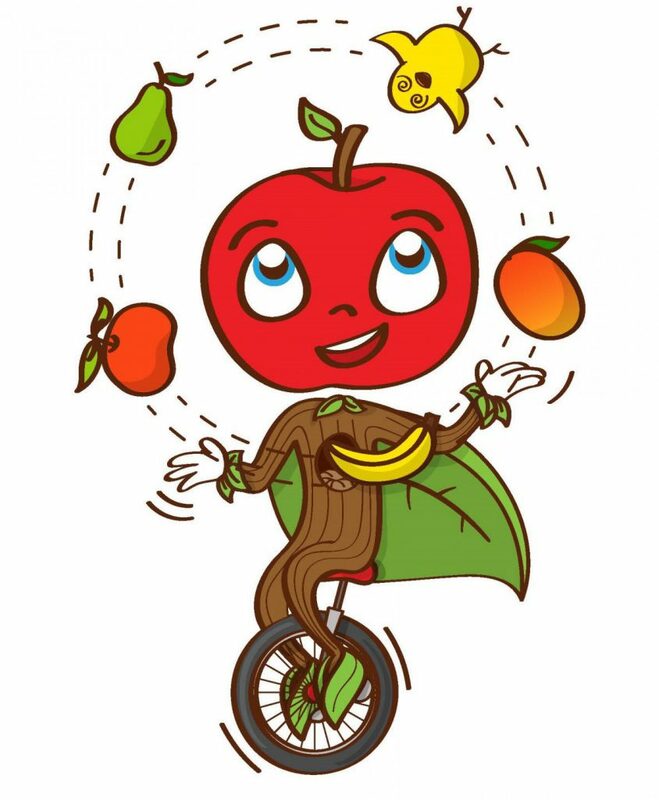 The company’s category-leading Crispy Fruit line of 100% pure, freeze-dried fruit is made from only the finest, non-GMO fruits available with no sugar added (*not a reduced calorie food). Crispy Green’s purpose is to provide the highest quality, natural food products and inspire others to live a healthy and better life. Crispy Green’s Crispy Fruit can be found in many major grocery retailers nationwide as well as through Amazon. Crispy Green is a delicious, convenient way to add more fruit to your daily diet. For more information, visit www.crispygreen.com or our sister lifestyle site, www.smartlifebites.com. You can also receive regular news updates and special offers through Crispy Green’s social channels – Facebook, Twitter and Instagram.